After several years of waiting and setbacks, Bombardier announced at the beginning of November the certification of the Global 7500. An important and crucial step for the Canadian aircraft manufacturer, and above all, a small revolution in the high-end aircraft market. The arrival of the Global 7500 on the market should allow Bombardier to look to the future with a little more serenity. It is an understatement to say that the history of the program partly sums up in itself the turbulence that had to be experienced by the aircraft manufacturer after the 2008 crisis. Finally, this ambitious program is now a reality and crystallizes Bombardier’s efforts to stay at the highest level in the business aviation sector. The Global 7000 program was ambitious in more ways than one. In 2010, the official launch of the Global 7000 and 8000 programs during the NBAA in Atlanta detonates in a sector hit hard by the 2008 credit-crunch. The market is drained and the aircraft manufacturers are struggling to fill the order books. Worse, some dismiss a large part of their workforce to keep their heads above the water. It was time to save to maintain a semblance of production despite the multiple cancellations. Bombardier, which suffered as much collateral damage from the post-crisis effect as their competitors, were banking on the future of large-cabin and long-range aircraft. 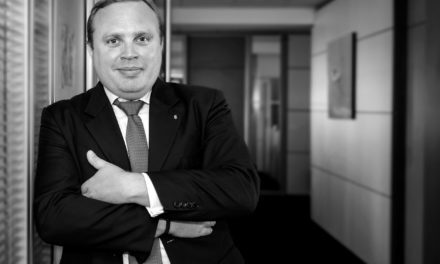 This market segment remained the most profitable before, during and especially after the crisis. And that is why Gulfstream launched the G650 in 2008. This jet, powered by Rolls-Royce, will become, – especially the ER-Extended Range version – the sole real direct competitor both from the point of view of its cabin space and its performance, as well as a reference in the top end market. For the Canadian aircraft manufacturer, the G650 represents from the outset a significant risk both for its Global range composed of Global XRS and 5000 and its future market. The launch of the 7000/8000 program was therefore strategic and eminently important.for the manufacturer’s future in the high-end aircraft sector. The Global 7000 program is based on exceptional performance, enabling the aircraft to become the first business jet to fly non-stop around the world with a cabin of up to 19 passengers. At the launch of the jet Bombardier announced a range of 7,300 nm – 11,748 km – and a cruising speed of Mach 0.85. The cabin of the new aircraft is 20% longer than the Global XRS. To endorse its performance and bring the aircraft to the other side of the world with its passengers, the manufacturer had to rewrite the initial design of the Global range and offer a brand new General Electric TechX engine to replace the CF34 engine, particularly in the regional aviation niche. In addition to the engine, Bombardier also relies on the new wing design and the study of a transonic wing ensuring maximum flexibility and stability throughout the flight phase. The engine / wing combination gives the Global 7000 the ability to fly at a cruising speed of Mach 0.85 without affecting its range and fuel consumption, which was then announced 8% lower than that of its main Rolls-Royce powered competitor. With these predicted performances, the Global 7000 resolutely marks a revolution in the world of business aviation and opens a new era for the Canadian aircraft manufacturer. The production and assembly of Global 7000 elements takes place not only at Querétaro sites in Mexico and Saint Laurent in Quebec, but also at those of its partners such as Aerolia in Mirabel and Triumph in Red Oak, Texas. However, the production and assembly of the main structures of the first flight test vehicle -FTV1- will only start in 2014. In the meantime, and beyond the crisis affecting business aviation, Bombardier had to face several problems with the development of the CSeries and Learjet 85 programs. In 2014, the aerospace industry posted a loss of 730 million euros for 7.7 million sales. The manufacturer was forced to cut several thousand jobs, particularly on the production sites of the Global 5000 and 6000, whose rates were at their lowest. The group then evokes “a current difficult economic situation and geopolitical stakes of certain markets, including Latin America, China and Russia“. Faced with turbulence, Bombardier has no choice but to draw up a five-year recovery plan. The latter, led by Alain Bellemare, will notably sign a streamlining and simplification of the company’s organic structure at the aerospace division, as well as the discontinuation of the Learjet 85 program in 2015, the sale of the CSeries to Airbus and the QSeries program to the Viking Air aircraft manufacturer in 2018. In 2015, Bombardier, despite the progress of assemblies of the two prototypes -FTV1 and FTV2- announced a new delay in the program. The entry into service initially planned for 2016 is postponed until 2018. Despite the bad news, the FTV1 makes its first flight on November 4, 2016 from its facilities in Toronto, Canada with Ed Grabmann, Jeff Karnes and the engineer, Jason Nickel. With the FTV1 used to open the flight envelop, the inaugural flight marks the beginning of a long flight test program. In March 2017, the second aircraft takes the air. The flight lasts 4 hours and 28 minutes and inaugurates the testing of the aircraft’s flight systems. For the occasion, Bombardier decides to name the FTV1 “Performer” and the FTV2 “Powerful”. The FTV3 makes its maiden flight in April 2017. Dubbed the “Navigator”, the third prototype is dedicated to the performance of advanced avionics systems and the electrical system. It is also the first aircraft equipped with a dual head-up display system. Just five months after the start of the flight tests and the implementation of three prototypes, the FTV1 sets a record for the largest business jet to approach the sound barrier by reaching the maximum speed of Mach 0.995. In mid-July 2017, the three flight test aircraft accumulated 500 flight hours. During the same period, Bombardier began the production of standard aircraft that send positive signals to the markets and the future purchasers of the aircraft. In September, the FTV4 – nicknamed the Architect – takes off to begin the validation tests of the cabin layout. These tests will be used to study the degree of comfort but also the smooth operation of the various cabin management systems and connectivity. Nevertheless, as part of the development program, the interior fittings are validated on the ground on a test bench which reproduces the flight conditions according to the movements of the airframe and the flight loads, using a fuselage of series mounted on a pneumatic bench. This process validated the finalization of the interior design elements well before the actual installation on board the “Architect”. The fourth prototype is followed in January 2018 by the FTV5, internally called the “Chef d’Oeuvre”. More than a prototype, the FTV5 is a pre-series aircraft to validate flight and ground test data obtained by the other experimental aircraft. Above all, the aircraft will conclude the flight test program in order to drive the aircraft to type certification by the authorities. In the meantime, the manufacturer announced that it had successfully reached the middle of its recovery plan, which allowed them to establish a new development center and a 15-hectare final assembly plant adjacent to Toronto Pearson International Airport. If 2018 seems to be the year of renewal for the Canadian aircraft manufacturer, the latter takes advantage of the Ebace exhibition, held in Geneva from 29 – 31 May, 2018, to announce a change of its strategy. 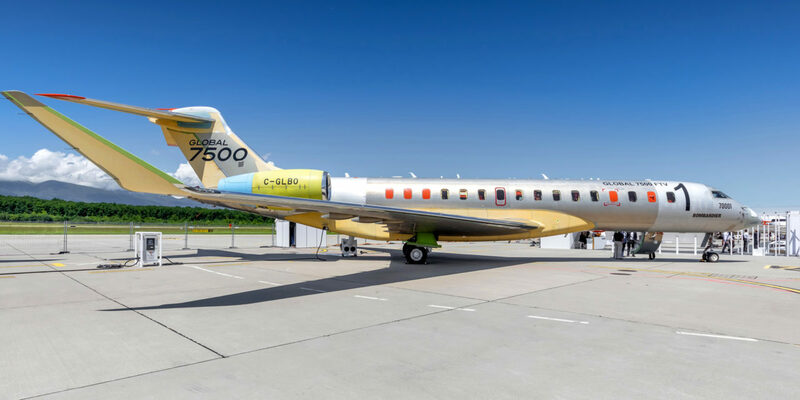 Concomitantly with the launch of two new versions Global 5500 and 6500, extrapolated versions of Global 5000 and 6000, Bombardier decides to rename the 7000 to 7500. This change in identity marketing scope should highlight the new performance of the 7000 which, following the tests, increase the autonomy of the aircraft by allowing it to gain 300nm on the initial data. The Global 7500 now reaches a maximum range of 7,700 nm or 14,260 km. In addition to its new range, the jet can land and take off on short runways, opening the way to certification for London City airport operations. With a flight test program of more than 2,700 hours, the Global 7500 was certified by Canadian authorities on September 28, 2018 followed by type certification by the FAA, the US Federal Aviation Administration, on November 7, 2018. The certification of the aircraft does not mean, according to Bombardier, the definitive end of the tests on the aircraft. They will logically evolve according to the market needs. However, it is time to deliver the first aircraft and even more get orders from new customers. And on this point, the Global 7500 leaves with a certain advantage: first from the point of view of its performances which are a credit to not only the wings designed by the Bombardier engineers but also the GE Passport engines – ex TechX – delivering a unit thrust of 73 kN. 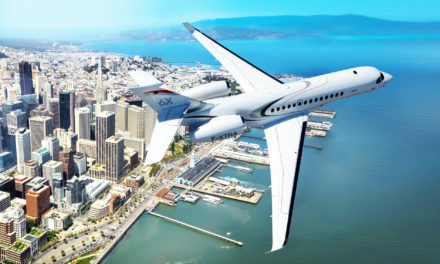 The combination allows the twin-engine jet to connect New York to Hong Kong or Singapore to San Francisco non-stop at a maximum speed of Mach 0.92 and an operational ceiling of 51,000 ft. The new design of the wing and the GE Passport engine delivering. And to best meet these long-haul flights in terms of comfort, Bombardier rightly puts forward the cabin space of the aircraft. 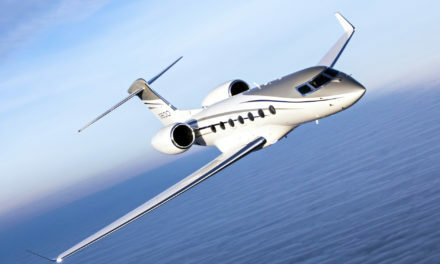 In terms of dimensions, it simply becomes the biggest business jets on this market segment. With a height of 1.91 meters, a width of 2.49 m and a length of 16.64 m, the interior space is divided into four real living areas and a rest area for the crew. The cabin benefits from natural lighting thanks to a window area 80% larger than those of previous Global. The customizable layout offers a wide range of layouts and furnishings including an optional permanent bed and shower. In order to offer “a new cabin experience” Bombardier has also developed for the occasion a new seat called “Cloud”. The result is an armchair that, in addition to a brand new design, features an innovative internal architecture designed to “bring together movements“. It also offers three technical features resulting from a long process of study, including a tilting headrest and a tilt system providing a pronounced inclination. The various mechanical and electronic elements of the cabin can be controlled remotely via the “Nice Touch” cabin management system developed in collaboration with Lufthansa Technik exclusively for the Global 7000. This device allows you to connect to the cabin via Touch touch screens. “Integrated within the cabin itself but also through the personal smartphone of travelers via an iOS and Android application, Nice Touch gives access to all media and allows control among other sounds, ventilation but also predefined lighting profiles for a wide range of combinations of bright colors to determine the desired mood. The system also delivers high-definition 4K high-speed content. To achieve this, Bombardier has installed a 10 Gigabit fiber optic architecture and dual wireless access points on board to provide redundancy. On the cockpit side, the aircraft equipped with electric flight controls will use the Global Vision system built on the Rockwell Collins Pro Line Fusion avionics suite. It has four LCD screens, a head-up display system, an improved vision system -EVS or Enhanced Vision System – coupled with the artificial vision system (SVS – Synthetic Vision System). Among the features, the aircraft suite will offer a weather radar MultiScan – including a wind shear detector! – a graphical flight planner and the RNAV, RNP en route and RNP AR approach. Because of its performance, its cabin and the high-technology on board, the Global 7500 should become the reference on the high-end segment. The $ 65-million jet is designed to give Bombardier a new lease of life to write a new page in its aviation history, particularly in the business aviation sector. With the Global 5500 and 6500 the Canadian aircraft manufacturer is definitely preparing its future in a market that will remain, according to forecasters, particularly attractive for a decade or so. Like other manufacturers, Bombardier does not say a lot on the discussing contracts and on the number of aircraft which have been ordered. However, the Global 7500 is already announced as a success in view of the various press releases issued by the aircraft manufacturer in agreement with buyers. VistaJet, one of the first purchasers of the aircraft and who will receive in 2019 its first jet in 2019, should receive a total of 30 aircraft. NetJets confirmed in October 2018 during the NBAA, its 2011 order for the firm acquisition of 20 Global 7500 on a total order of 120 Global (including 70 options). Comlux and London Air Services also acquired two and one aircraft respectively. The former Formula 1 driver, Niki Lauda, ​​familiar with the Global range, opted in 2015 for the acquisition of a jet for his personal use in 2015. With its various announcements, some analysts estimate at more than 200 the number of orders issued for the aircraft.